Popsicle is a popular refreshment in hot summer, commonly made of fruit or vegetable juice, pulp, milk, etc. 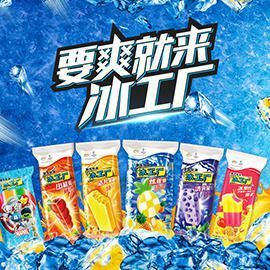 Yili Cool Factory is a well-known popsicle brand among 12 to 22 yrs old Chinese students, who seek for lively and tasty experience. Moreover, Cool Factory always leads the trend of ultimate coolness and dynamic power in popsicle category. As time evolves, consumers crave for more than just quenching thirst or relieving summer-heat from a popsicle. They anticipate a leading brand would bring high quality ingredients, versatile taste experience, healthy formula and fashionable design. Can you help to create a concept that brings popsicles to the next level, to WOW China? Participate before January, 20th 23:59 UTC.